As you’ve already found out from our previous article, the average salary in the US is around $6,206. How is this relevant ? Well by the end of this article you’ll find out if the average Joe can go on a cruise or not and how exactly the cost of going on this kinds of trips will influence his salary. In the past you might have heard that cruise trips were too expensive for normal people and that only a few of the millionaires could actually go on one. Nowadays this is far from being true. Today you won’t have to sacrifice all of your saved money to enjoy these types of delights and go on a cruise. Any normal cruise trip won’t cost more than $100 to $500 per day for every person, while a more luxurious trips can make you spend well over $1500 for every person per day. 1) Company – The company you choose may influence the final cost. 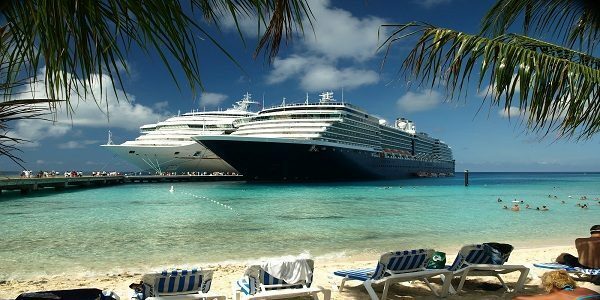 It’s possible that two different companies to offer the same type of package but at slightly different prices, so be sure to check all of the possibilities before choosing the company you want to use for your cruise trip. Look for cruises that have a larger number of clients and passengers as they will offer lower prices for any package. 2) Cabin location – If you opt for an inside cabin you have to know that you won’t be able to see the sea and you probably won’t have access to a private balcony, because this type of cabin is located towards the middle of the ship. If you have to possibility to choose, go for the outside cabin. It will be located on one of the sides of the cruise ship so it will probably have a balcony or windows that will open up towards the sea. Remember that outside cabins are a little more expensive than inside ones, but people say that it is worth to spend a little more for a private balcony. 3) Facilities offered – If you picked a cruise trip package that offers facilities like shared-cabin, onboard entertainment and up to three meals per day, don’t think you’re special. These are the basic facilities offered within most packages. Don’t pay more than $100 to $400 per day for each person. If instead you wish to have facilities like shore excursions, a private dining room, high-speed internet or a private cabin, then you’re actually looking for a luxurious cruise trip that can cost over $1,000 per day for every person. Expect a lot of extra costs to add up when you figure out the final cost of your trip.You could even spend over 50% of the total cost on extra facilities. So for a packages that costs around $500, expect to pay around $750 to cover some facilities you’d want. 1) Shore Excursions – The ports-of-call will be the places that sell guided shore excursions. Although these don’t always have a fixed price and will depend on whether there are meals included and the total length of the stay, you can expect to pay over $20 for such a trip. 2) Private dining room – You could find packages that have a private dining included in the price, but most packages won’t have such a facility included so if you want such a facility, expect to pay for it. Usually you will have to pay for this facility at the end of the cruise trip. 3) Alcoholic Beverages – You will have your meals included in the cruise package but don’t expect to have any free booze. You will pay extra for any alcoholic beverages and if you want to bring your own wine you will be able to bring one bottle but do expect to pay a corkage fee of $10. 4) Souvenirs – Most cruise ships have several souvenir stores on board. If you want to buy a few souvenirs to remember the trip be careful and be on the lookout for any inflated prices. You could end up spending a lot on a few souvenirs. 5) Photographs – During some of the most important moments of your trip, like when you dance, when you board on the trip or even when you enjoy a sunset, you will be photographed by a professional photographer. You can watch the photos for free but if you want them, expect to pay for each and every one that you will bring home. 1) Avoid Alternate Dining –Try to avoid the private dining halls if you know you’re on a tight budget. These are known to have increased prices. 2) Self-guided Shore Excursions – You can try to take the shore excursions on your own each time the cruise ship will stop in ports, but be careful and don`t get lost. This will be a good idea only if and when you are familiar with the places. 3) Avoid Spending Too Much on Souvenirs – Souvenirs will have inflated prices so only take home some little things to help you remember the trip. Will The Average Joe Be Able To Go On A Cruise Trip ? The answer is clearly yes. If you do have a big family you will have to save some money and make some sacrifices to be able to take the whole family on a cruise but if you want to make it your yearly vacation you ca afford to get a cruise package. One of the advantages of the cruise is that in a single vacation you can visit many great cities around the world and everything without spending too much. For a normal one week long cruise trip, a family of four will pay somewhere between $2,800 and $14,000, without any extra facilities. The extra facilities can take the final cost to $21,000 or more. If you`re more into the static vacations, where you spend the entire vacation just in one place, going on a cruise trip should at least be a one-time experience. How Much Does It Cost To Have A Baby ? How Much Does An Alignment Cost?